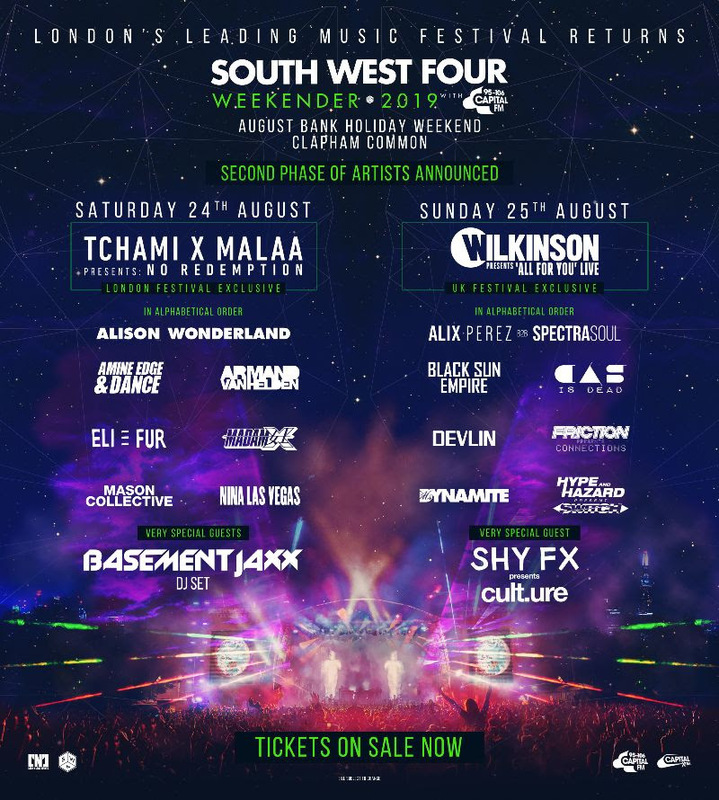 Wilkinson, Ms Dynamite, Basement Jaxx, Alison in Wonderland and Tchami x Malaa will play South West Four 2019. The Clapham Common festival has revealed the latest acts for Saturday, August 24th and Sunday, Augsut 25th. The Saturday line-up adds Tchami & Malaa presenting No Redemption plus Alison Wonderland, Amine Edge & Dance, Armand Van Helden, Eli & Fur, Madam X, Mason Collective, Nina Las Vegas, Basement Jaxx. They join acts such as Martin Garrix, Tinie Tempah and Craig David presents TS5 Takeover. Sunday will see Wilkinson deliver his All For You plus Alix Perez b2b Spectrasoul, Black Sun Empire, Casisdead, Devlin, Ms Dynamite, Friction, Hype & Hazard and Shy FX presents Cul.Ture. The Prodigy, Plan B and Chase & Status presents RTRN II Jungle were previously revealed.